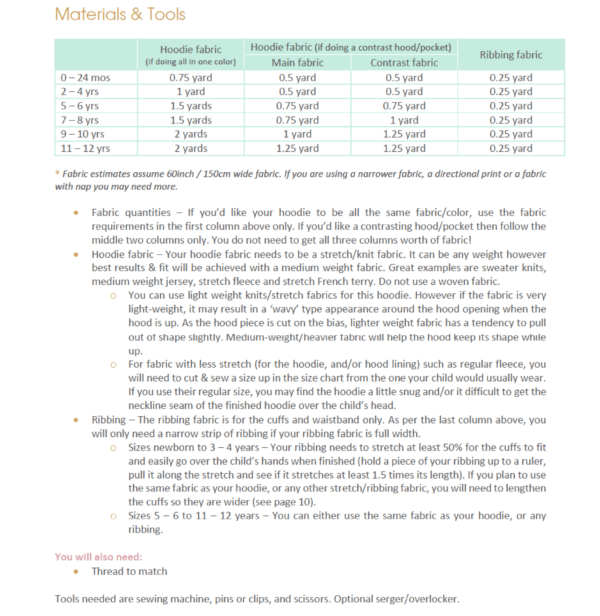 This great value bundle of sewing patterns includes Ladies XXS to 5XL and Childs newborn to 12 years sizing. 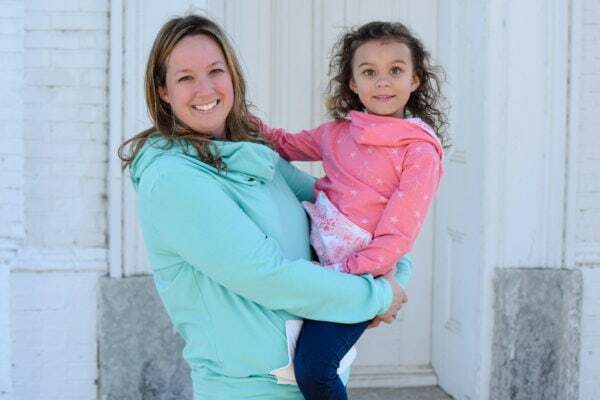 Make yourself and your kidlet a hoodie each with this Comfy Cowl hoodie pattern bundle. 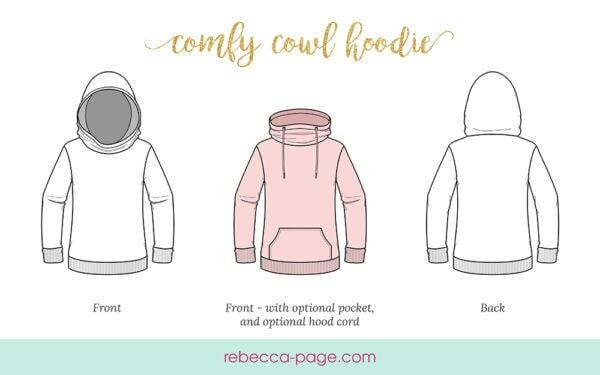 Includes the Ladies and Children’s Comfy Cowl Hoodie PDF Sewing Patterns. 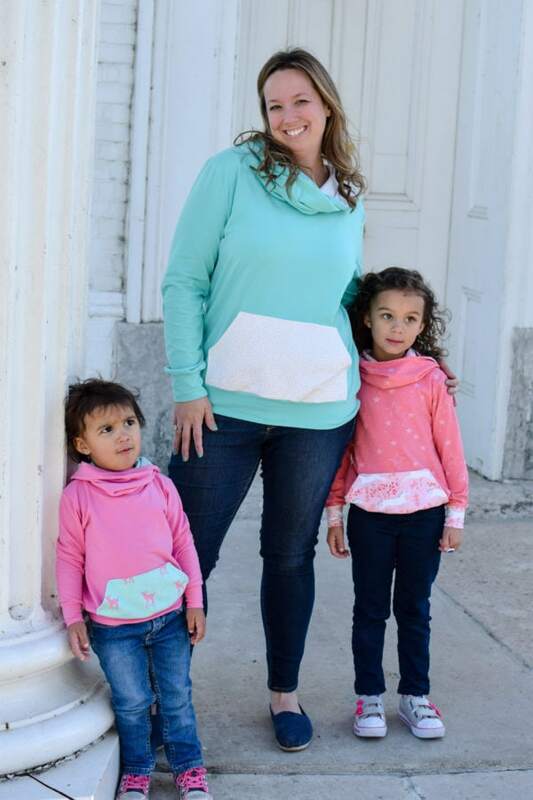 Sizes – Pattern includes children’s sizes newborn to 12 years and ladies sizes XXS to 5XL. See the size chart in the gallery above. 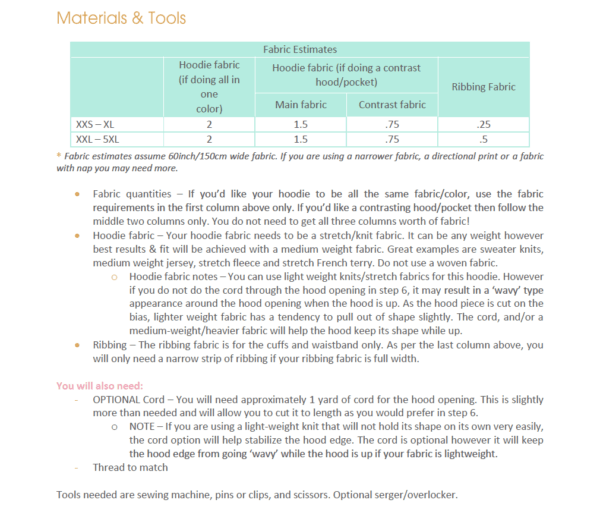 Fabrics – Suitable for stretch or knit fabrics only. Not suitable for wovens. Serger/overlocker optional but not required. It’s so so simple & was easy! 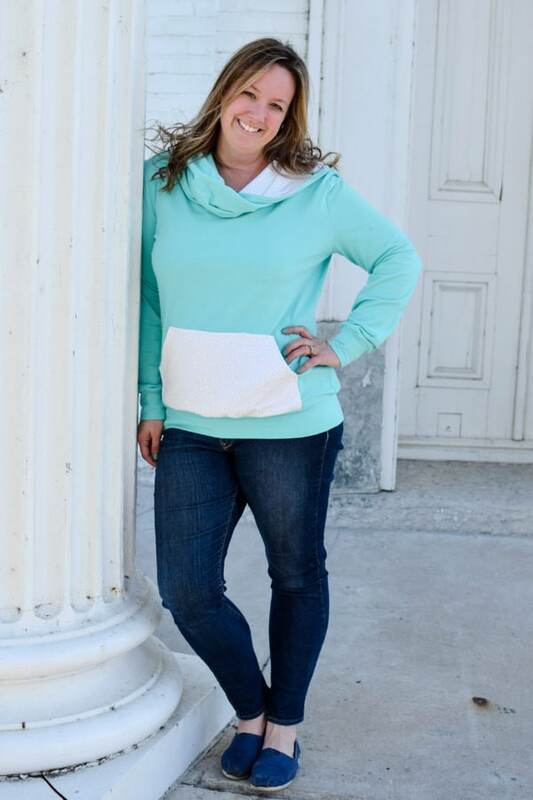 I made my hoodie in less than an hour from cut to finish! I didn’t get stumper anywhere and it’s definitely beginner friendly! 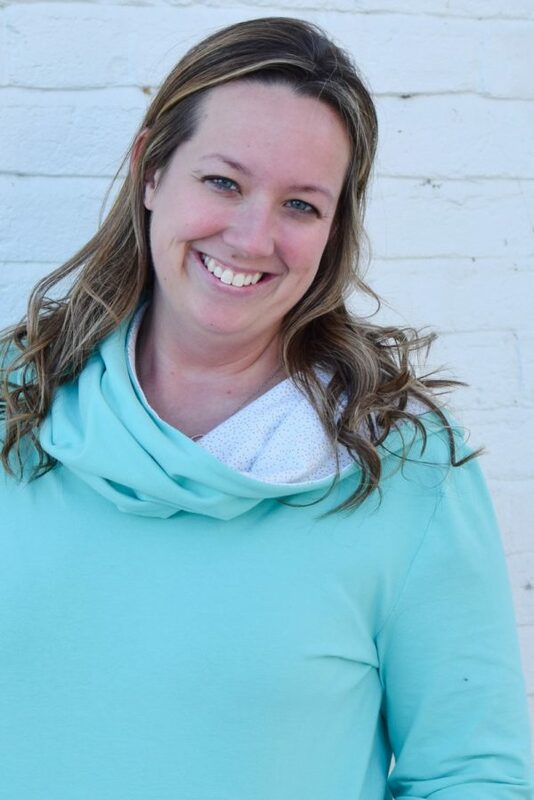 I LOVE cowl neck hoodie for myself so I’m excited to find an easy pattern to use to make my son matching ones! I love the look of the cowl! It’s great, you’ll love it. It’s a quick and easy sew. 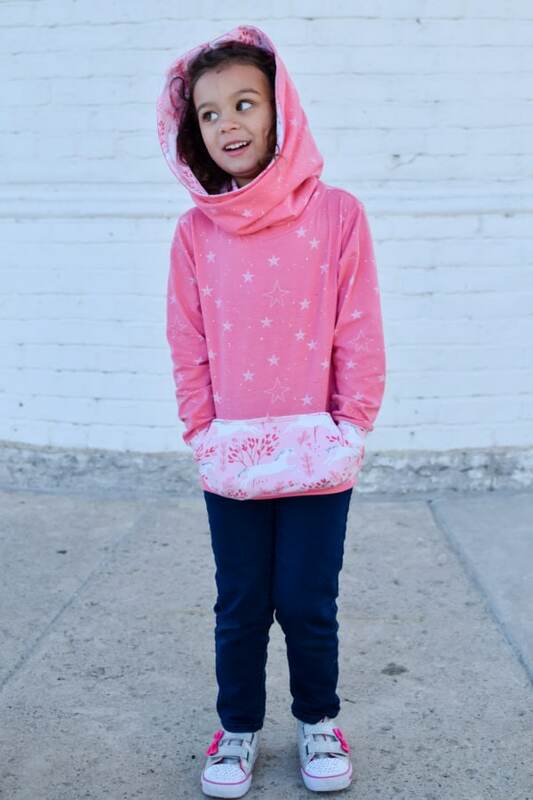 Youth size: Very quick, easy sew and looks adorable. Women’s: Also an easy sew, with a fresh look. It also was a nice way to use up some of my smaller scraps of fabric for the cuffs, band, and pocket on the youth size. I LOVE how cozy the cowl neck is AND the fact I could co-ordinate with my son. It also came together really easily and I liked that (if not adding a pocket or cord) that it could all be done on the overlocker, so no back and forth! This pattern has such a good range of sizes, you know it’ll be great value for money! Plus the kids version is unisex, so Mummies can do matching too!! I like the ‘Quick Glance Cheat Sheet’! Not many patterns have it and once I’ve made something, it certainly makes it quicker rather than scrolling through lots when you already know approximately what’s going on. You wouldn’t believe how easy it is to make this and no one will believe that you didn’t buy it! The hood is amazing!!! 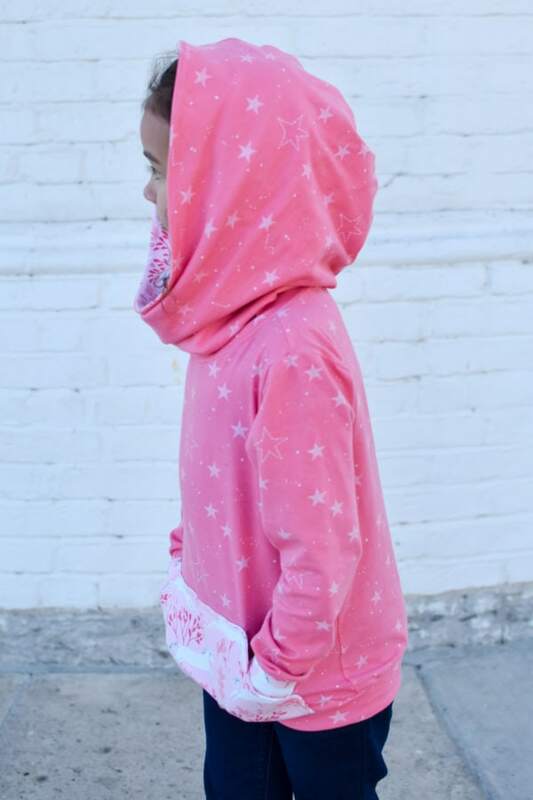 It looks adorable on kids/adults and is very fashionable! I love being able to add an accent color to the inside of the hood/pocket. Easy see for any skill level!!! I love ALL your patterns but this one is pretty exceptional because it is unisex & stylish & oh so simple to make! Everything went smooth, quick & fit perfect! The muslin is also wearable! Very fun easy to put together pattern. Very comfy too. This pattern is simply amazing. It was simple to cut and construct. They fit well and are so comfortable! The pattern is beautiful and even more comfortable than I imagined. The instructions are so easy to follow because of all the pictures! This pattern is amazing. I love the sweatshirt. It lives up to the name–comfy indeed. The sew is quick but looks so professional. This is a staple piece. This was a tough pattern due to the fact that it is made with knit, but it turned out so pretty and I love it!! This is the perfect pattern for fall. Comfy, cozy, and cute! 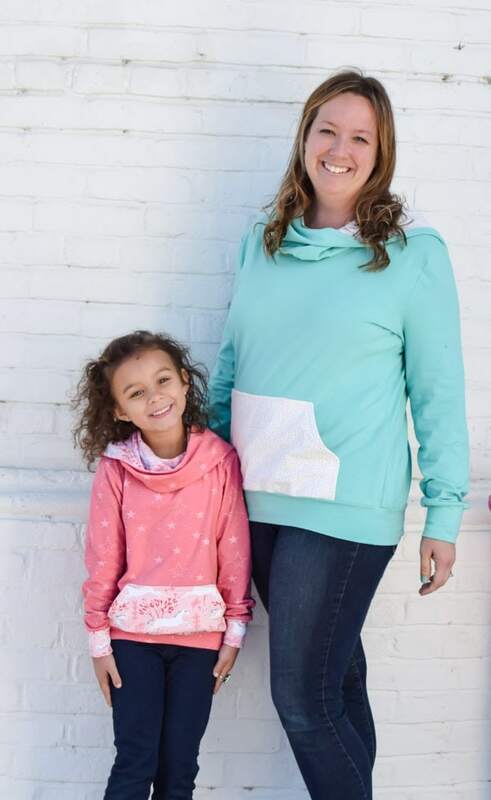 Perfect for matching mother-daughter outfits. Pattern and tutorial are great and easy to follow. Great fit too! I love that I get a cowl and a hoodie in one jumper! Such a quick sew and the results are amazing!!! 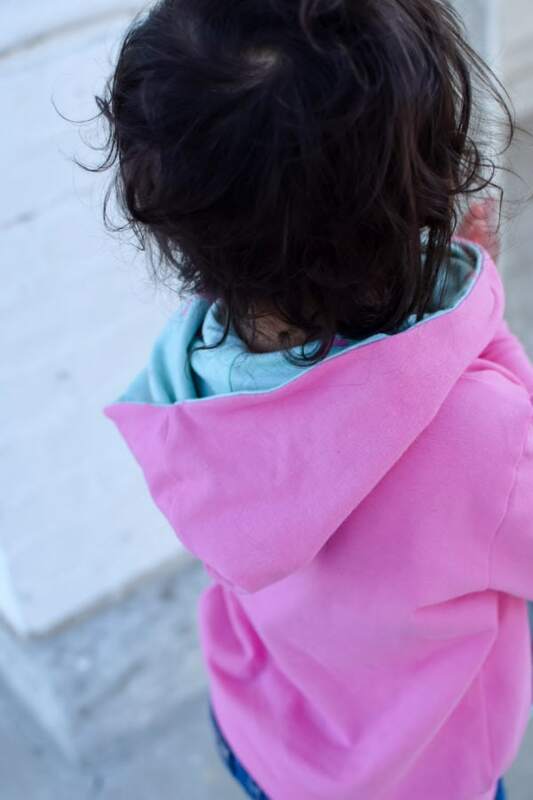 My girls are so happy with their hoodies and I can’t wait to make more. This is the pattern you grab when fall catches you off guard and you need something quick and warm to make!